New short story out! You can read "Shod in Memories" for free over at Daily Science Fiction. This one is a fairy tale retelling, and I hope it makes people smile. 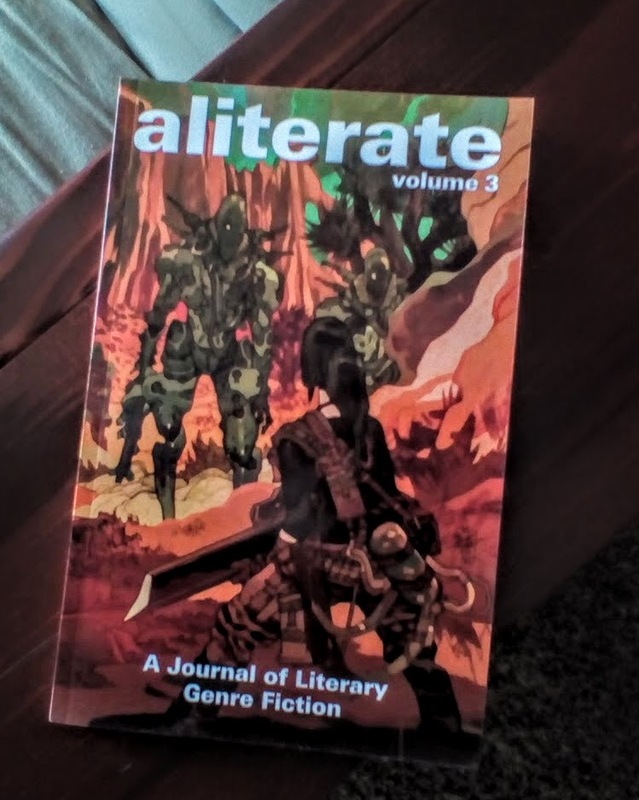 This is my sixth short story to come out in 2018 -- which feels a little surreal! I'm very happy I've been able to share so much fiction with folks this year. 4:00pm, Room 255B: YA, I Like YA -- What About It? My short story "Glass in Frozen Time" is out today from Diabolical Plots! You can read it for free here. I also have other exciting news I can share today...I signed a book contract! My novel THE REDWOOD PALACE will be coming out next year from Immortal Works. They asked me to make an author Facebook page, so you can follow me there, now, too. Seventeen-year-old Plum is a young chef with high prospects -- until she gives up her career to cover for her runaway sister. Lying for family leaves her tangled up in intrigue, and accused of poisoning the king's sister. To clear her name, Plum has to figure out who's really behind the attack. Her best hope is to make an alliance with the Hungry Ghost who haunts the palace kitchens. He'll spy for her, if she whips him up an exorcism. But researching exorcism recipes and delving into the identity of the true poisoner unearths darker plots. If Plum wants to save herself, her family, and her nation, she's going to have to cook the dish of a lifetime. I'm so excited to share this project with you! My short story "Seeds of the Soul Flowers" is live at Daily Science Fiction! I've also got some new Instructables up, for anyone who's interested in DIY. Here's Sunshine Soap with Calendula and Honey. And here's Fire-Toasted Parmesan Basil Bread. My brother and sister-in-law were watching Everything Everything, and sent me this quick screen shot. There's DRIFT on the nightstand! Hurrah for beautiful, large typography! 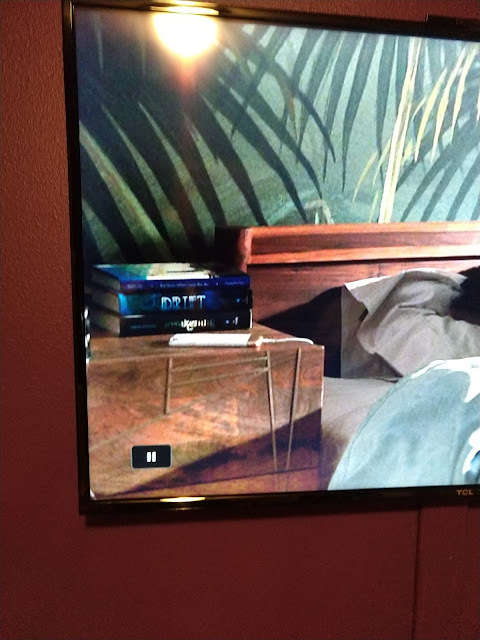 I've seen my book at libraries and bookstores before, but I wasn't ever expecting to see it pop up in a movie. Oh, and a sidenote: I will absolutely be at Fyrecon this June -- I'll post my schedule when I have it. Hope to see some of you there! 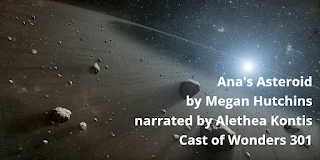 My short story "Ana's Asteroid" is out live today from Cast of Wonders! You can listen to it or read it for free on their website. I think this is the first bit of hard science fiction I've published. I wrote it with younger readers in mind -- the main character is thirteen -- and it's the kind of thing I would have wanted to read as a kid. I loved (and still love) board games and PBS NOVA as a kid, and both of those things came into play for this story. Many games of High Frontier got me thinking hard about different asteroid mining possibilities. And Emergency Mine Rescue from NOVA gave me some engineering insights into digging deep. NOVA also has a great resources for learning about space. 7:00pm: Massive Author Book signing! The anthology Mind Candy is now out! My story "The Sixth Axiom of the Magician-Sages" is in it -- a story about math proofs, childbirth, and magic. "Exhaling Memories" came out last year, but I got my physical copy of Aliterate recently. You can read this one online for free, but the book itself is beautiful.